Auto starter systems are motors that are powered hydraulically or electrically to enable an automobile engine to initiate operations using it's own power. To start an engine, it must be turned at some speed, so that it consumes fuel and air into the cylinders before compressing it. Auto starter systems fulfill the aforementioned requirement needed to start an automobile engine. The starter system itself makes the engines turn, with it's shaft carrying a small gear wheel that engages with a larger gear ring which is fitted around the rim of the engine flywheel. Many would recall that engines are the most essential part of any automobile, with all major functional parameters right from the acceleration speed to fuel efficiency determined by the engine's performance. Simply put, an engine is the soul of any automobile, without it the vehicle won't run. To start the engine itself, an auto starter system is a necessity. Thus it would be safe to assume that auto starter systems are essential in all automobiles. The starter needs heavy electric current to start working, it draws this current from the battery. Since the auto starter system switch has to be turned on and off very quickly to eliminate any chance of sparking, so a solenoid is used. The solenoid turns on an electromagnet to complete the electric circuit. Since an automobile engine cannot start without a starter system, due care must be take to ensure that the starter system is in good functional conditional, lest it prevents the vehicle from starting during an emergency situation. Furthermore, how the engine of an automobile starts influences a whole host of functions ranging from fuel emission to drivability. 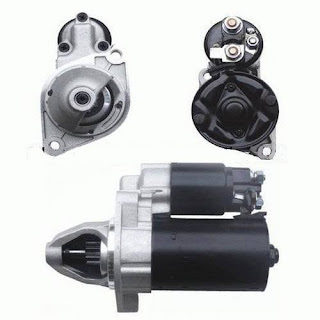 To prevent sudden failure of auto starter systems, some precautions should be taken, like introduction of a roller one way clutch or adoption of a conventional gear reduction scheme in place of planetary gear train in vehicles required for heavy duty use. Also, the auto starter system should be regularly checked for any malfunctions and should also be periodically serviced.